With every country on the brink of war, be it against terrorism or political conflicts, ‘Paka’ana Boma’ written by renowned Odia poet Prasanna Mishra, takes us back to the horrors that our older generation had to face. The piece of literary work gives a blood curling description of the killings that took place, the crimes against humanity, most of them in the name of religion. It has a unique similarity with the problem we are facing in today’s Century. Dr Prasanna Kumar Mishra, a strong voice of Indian poetry of his time, had penned the poem in 1982. It gives us a strong and stern message to spread love and peace. This creative expression of the author has been beautifully portrayed through visual narration by his journalist daughter Prachitara. The video ‘Paka’ana Boma’ that has got the jugalbandi i.e. narration by Prachitara blended with a dance form performed by a US-based Kathak danseuse Anindita Neogy Anaam. Each dance step in sync with the powerful verse is a combination that gives goose bumps to the viewers. Although the poem has been written on the bombings in Hiroshima, it is all the more relevant to take it in the war scenario that we are experiencing in today’s world. “It is an anti war poem contradicting every reason that the politicians give for a war and thus implying the pointlessness of war. It also tells us a description of the war in the view of a child whose thought has not been corrupted yet”, says Prachitara, the narrator of the poetry and producer of the video. “The world is going through a rough phase of political instability in many countries including border tensions brewing between us and our neighbours. So we felt perhaps this is the right time to release the project and send this message of love, peace and non-violence”, Prachitara adds. “I met Prachi during my visit to Odisha for a show. While we were discussing on various issues and how a classical dancer needs to tell a story away from mythology and epics to connect the younger audience, she came up with this proposal”, recalls Anindita Neogy Anaam the US-based Kathak danseuse who enriched the video with her powerful dance and visual expressions. “It was a poem which encapsulated the feeling of helplessness and tragedies that a war comes with. Everyone pays a heavy price and there is no winner in this man-made catastrophe for power that is carefully executed by a few ruling politicians”, Anindita continues with her experience. Produced under the banner of Prachitara films, the camera has been handled by Suvendu Ghadai and Shaaz Anaam while post production has been done at Phoenix Films Lab. The video is scheduled to be released in YouTube on the occasion of International Women’s Day, on March 8. 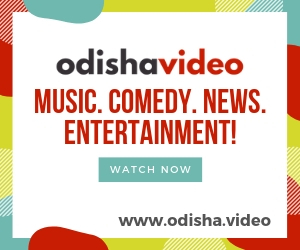 “I thank OdishaLIVE, a premier digital platform of our time, to come forward and promote this creative work. Hope it will reach a larger segment of audience and fulfil our efforts”, Prachitara says.